Show me the quirks, the imperfections, the love, the quarrels, all the true parts that make up your family. I love family photo sessions as they are unpredictable and create their own script as they go. Starting at home or a special place I will seek out the characteristics of you all and catch the small moments and the big gestures on my camera. I am hands on and will do a lot of directing as well, this I find surprisingly helps to put everyone at ease, so you know what to do in front of the camera. I know when to be there and when to hold back and let things unfold. Professional family photos can be treasured and passed down, and are something to invest in to remember those days as they zoom by without pause. It's all about the trip and I'll just jump on board long enough to see whats going on and record it for you. For pricing and package details visit here. For any other enquiries you can contact me here - I'd love to hear from you. 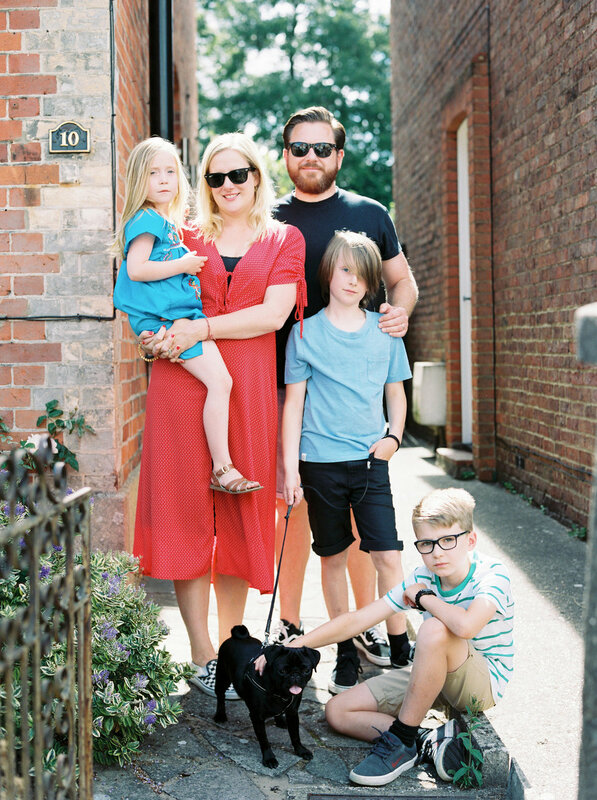 Fellow photographer Emily and her gorgeous family, photographed at home in Surrey. Alice and Chris have great style, it was so much fun to take their photos! Amani was on holiday in the Lake District and wanted some photos to document her stay with her young family in this beautiful part of the world. Ben and Charlotte with their two beautiful daughters amongst the background of the stunning Lowther castle in the Lake District. 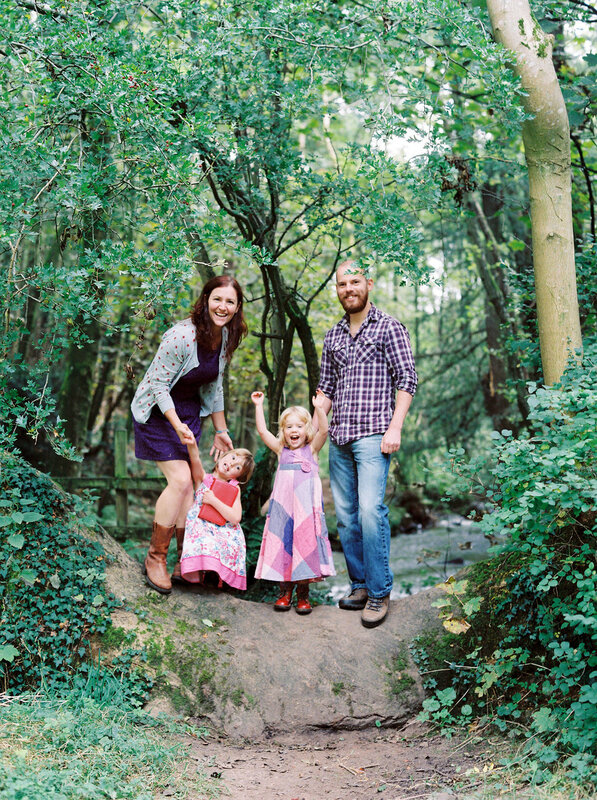 A stroll and a play, perfect activity for a family shoot! Isla and her gorgeous little ones in the back garden on a sunny afternoon. Carol and Izzy, just capturing a moment in their history. This extended family shoot was in a very special place, the family's field. Choosing a place important to your family definitely adds something to the experience and the photos.